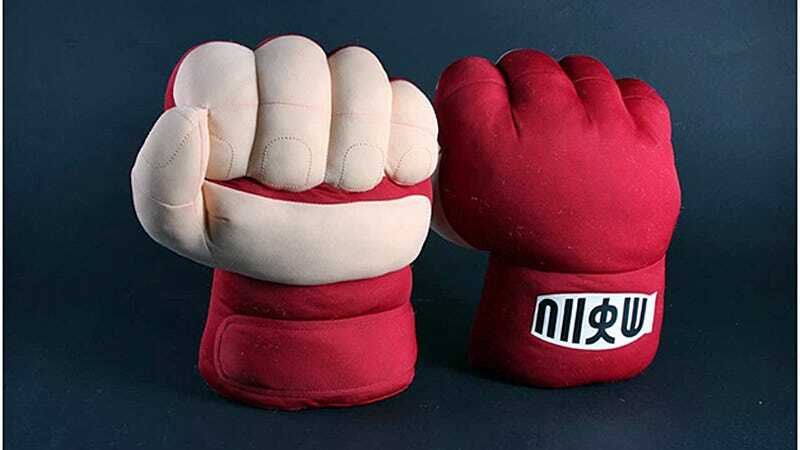 If your weekend plans include stopping by PAX South in San Antonio, you might want to a make a beeline for Capcom’s booth to get your hands on—and in—these over-sized plush Ryu fists that let you Hadoken and Shoryuken anyone who dares cross you. The official Street Fighter collectibles are just $25 for the pair, and appear to be adequately padded so as to not cause any real damage were you to find yourself in an actual street fight. Also, they’re just a much cooler alternative to the winter gloves you wear every day.